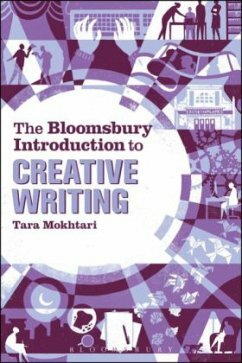 Covering a wide range of forms and genres, The Bloomsbury Introduction to Creative Writing is a complete introductory manual for students of creative writing. Through a structured series of practical writing exercises - perfect for the classroom, the writers workshop or as a starting point for a portfolio of work - the book builds the student writer from the first explorations of their own voice, through to mastery of a wide range of genres and forms. The Bloomsbury Introduction to Creative Writing covers such genres as: -Autobiographical writing - Short fiction - Poetry - Screenwriting - Writing for performance - Writing for digital media With practical guidance on writing scholarly critiques of your own work and a glossary of terms for ease of reference, this book is an essential manual for any introductory creative writing course and a practical companion for more advanced writers.